Is that a cowboy hat with a pair of scissors? Looks more like two swords to me. 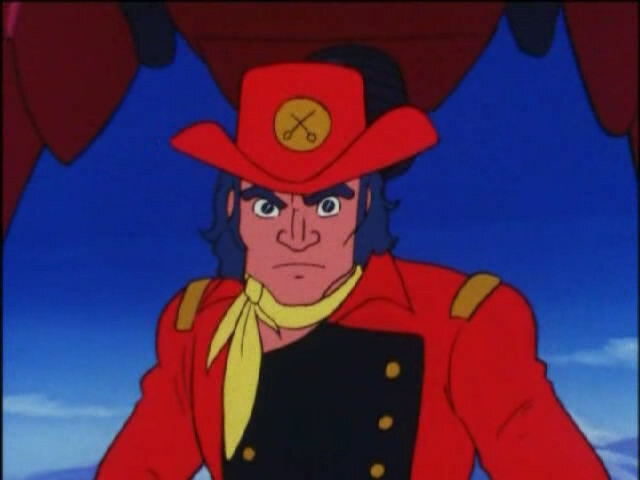 Of course that only because his outfit reminds me of the Cavalry uniforms from the US Civil War. 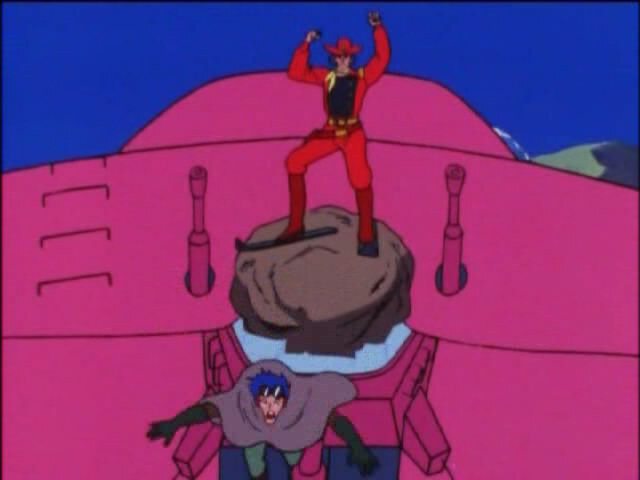 Fatman's cowboy outfit is one of my favorite things in Xabungle. It looks so goofy, and yet so awesome.